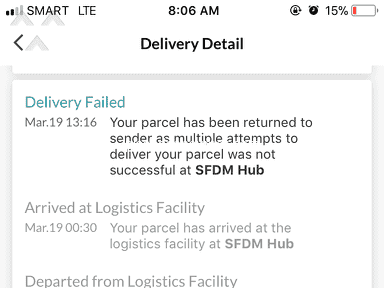 Bought an item last Sep 2017, which I quickly returned the other day because they shipped the wrong item. 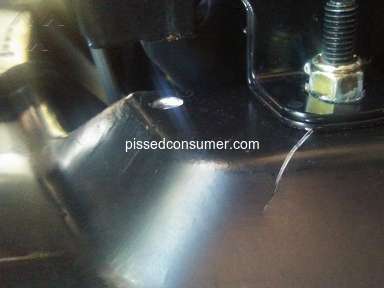 They processed the request and told me that it will be 3-5 days to process the refund. But as of now, I haven't got my money back. Contacted them several times via chat and Facebook. They call me a couple of times to check if I got the money, and said their team sent it. 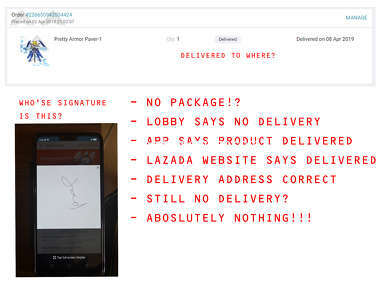 So I made this review because I am very frustrated with how Lazada's refund process. I am writing this review while chatting with their support and same response as before that they will just followup with their team about my problem. Review #1118331 is a subjective opinion of john_64. 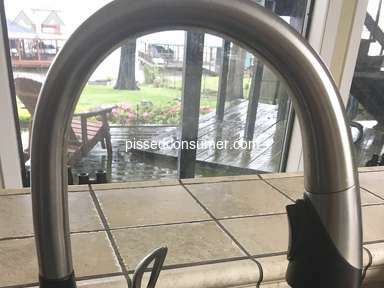 same here.. wrong item was delivered. its been almost a month if not 1 month na nga. 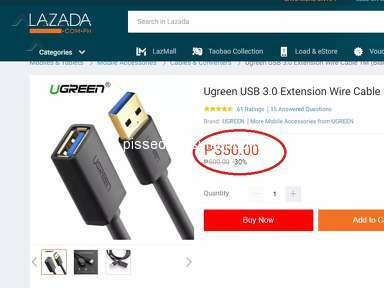 i hope DTI would check on lazada kasi parang dami ng ganyan na nangyayari sa mga customer. tapos yung mga agents and supervisors akala mo kung sino kasi alam nila walang contact or complain center para ireklamo sila. Hi tralif07_23, we do understand your concern! May we know your order number so we may assist you further? If you placed an order using a Debit card or Credit Card and get refunded, it will be via reversal back to your account for 5 to 15 banking days for Credit card and 5 to 45 banking days for Debit card. If you used Alipay, it will be returned to your Alipay account and you may coordinate it with Alipay and they do process refund via Cash. If you used Cash on delivery, we do have 3 refund method for that, which is LBC remittance, Store Credit or Voucher, and Bank Transfer. We do have a timeframe for refunds though. We are here to help every customer with their needs and help and we do our best to solve any concerns. You may also connect with us through our social media accounts like Lazada Philippines Facebook page, Twitter, Instagram, Google+ and Youtube. You may also contact us via www.lazada.com.ph/contact.Thank you! Hello John, we do understand your concern. May we know your order number? You may also connect with us through our social media accounts like Lazada Philippines Facebook page, Twitter, Instagram, Google+ and Youtube.